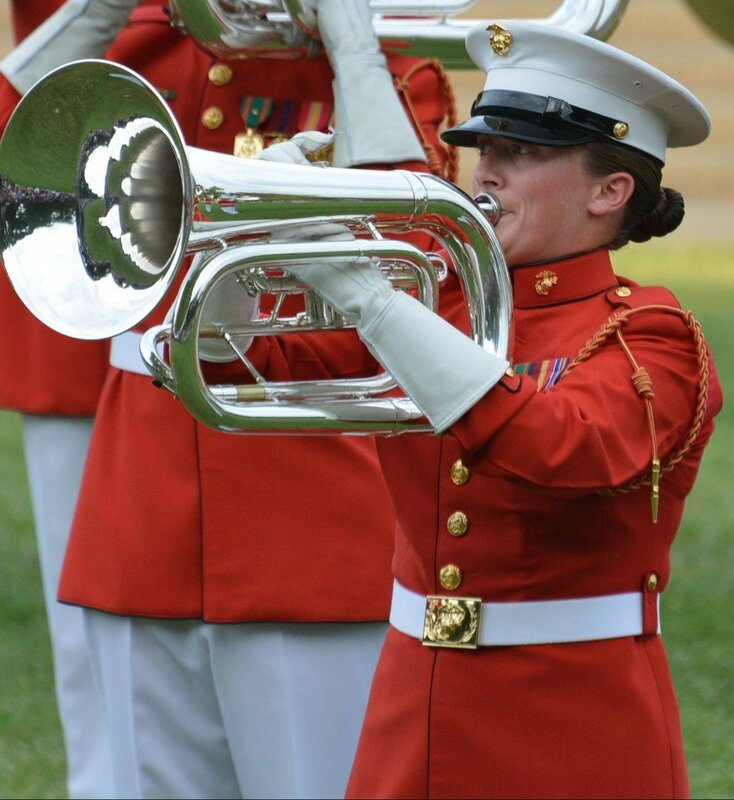 Courtney Lawrence is currently a Staff Sergeant in “The Commandant’s Own,” The United States Marine Drum & Bugle Corps, stationed in Washington, DC. She serves as the Euphonium Section Leader and Drill Master, responsible for all visual design and instruction for the corps. Courtney studied Music Education at the University of Houston prior to enlisting in the Marine Corps, and completed her Bachelor of Arts in Music Degree from George Mason University in Fairfax, VA.
Courtney marched in the Phantom Regiment Drum and Bugle Corps in 2004-08, and in the Colts Drum and Bugle Corps in 2003. Her performance schedule with the Marine Drum & Bugle Corps keeps her busy, but she has enjoyed working with the Phantom Regiment Brass and Visual staffs periodically over the past few years. Courtney is an active drill designer and clinician in the Washington, DC/Northern Virginia/Maryland area.